October 2015 started a new exciting exhibition in the Biosphere Potsdam. 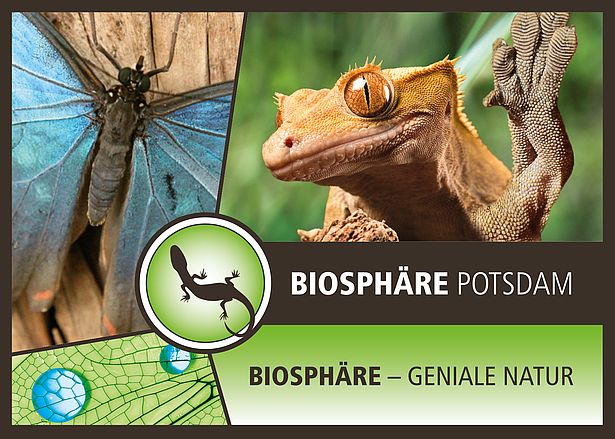 On your tour through the Biosphere Potsdam many exhibits will disclose secrets of nature. People have discovered these secrets by observing nature and are using them for industry and technology. Discover the secrets and stroll through the nature of the Biosphere Potsdam with new impressions.